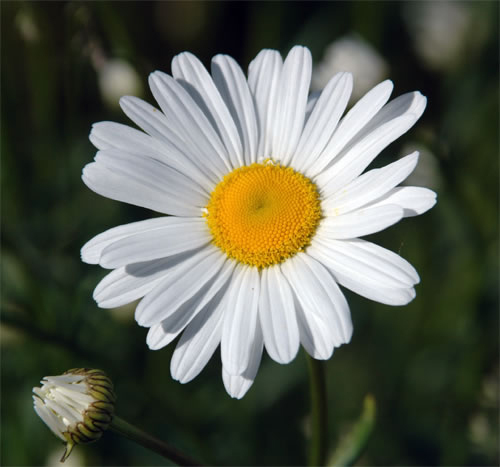 Oxeye daisy was introduced to North America from Europe in the early 1800s as a grass seed contaminant. Later, it was cultivated as an ornamental plant and is still sold as a wildflower in many seed mixes. Oxeye daisy has become a serious invader of pastures and natural areas throughout North America where it displaces desired vegetation. Cattle avoid oxeye daisy, so where it is common the forage value is reduced. This plant is known to harbour crop diseases. Flowers have yellow centers surrounded by white petals. Single flower heads grow on the end of un-branched stems and are 12-20 mm wide. 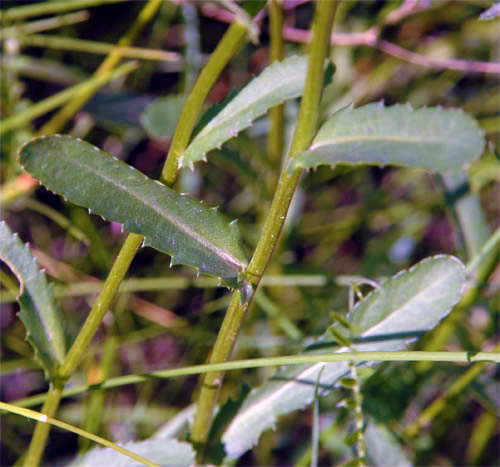 A key identifying characteristic of this species is that each plant has at least some oblong and spoon-shaped leaves with toothed edges. Oxeye daisy stems grow 30-60 cm high and are typically hairless. There are no native white flowered daisies in Alberta. However, there are some ornamental flowers that people use in their gardens that look similar. Shasta Daisy is sold through nurseries and as seed in wildflower mixes. Shasta daisy is a sterile cultivar of Oxeye daisy; however, it can revert to become fertile, as well as cross-breed with oxeye daisy to produce an invasive hybrid. 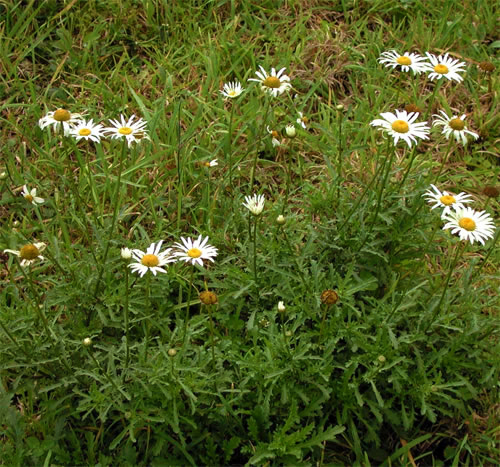 If your Shasta daisy begins to spread by seed or roots and is escaping from ornamental plantings, it should be removed (Alberta Agriculture and Forestry). When in doubt, please contact invasiveweeds@edmonton.ca.